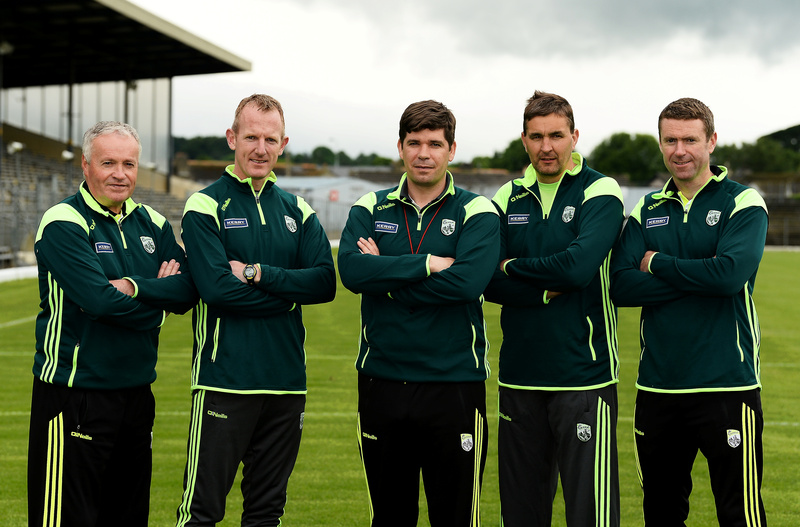 At tonight's (Wednesday 18th October) County Committee meeting in Austin Stack Park, Eamonn Fitzmaurice was given a 2 year extension to his current term in charge of the Kerry Senior Football team. This means that he will be in charge until the 2020 season. The current management team will remain in place but additions will be made to the backroom team. I am pleased to advise that the Kerry Senior Football Team manager, Éamonn Fitzmaurice, has confirmed that he will continue in his role for the 2018 season. His current management team will remain in place and additions to the backroom team will be announced in due course. This decision is very welcome and removes any uncertainty, allowing us to begin our preparations for the forthcoming season. Despite winning the Allianz League and Munster football titles this year and the continuing unprecedented success at under-age and schools grades, we all fully recognise and acknowledge the great hunger for senior championship success among the Kerry GAA community. Working closely with Éamonn and his management team, the Kerry County Board is determined to provide the resources and supports necessary in order to ensure that Kerry achieves this success as soon as possible. To that end, the County Board and the Senior Team management have agreed to develop in the coming months, a 3 year programme of supports for the senior panel, with particular emphasis on player development and progression together with strength and conditioning. The imminent completion of the Centre of Excellence in Currans will enable us to deliver these programmes within a state of the art facility in a co-ordinated and streamlined approach. In order to provide stability and underpin this programme I will be proposing that Éamonn Fitzmaurice be ratified as senior manager for a further two year term (2019/2020) at the next Co. Committee Meeting on 16th October next. This proposal was unanimously supported by the Executive of the Kerry County Board at a meeting last evening. I am very confident that a strong collective effort will ensure that the phenomenal success we have achieved at minor level will be translated into senior success in the coming years. Due to the severe weather forecast the Co Committee meeting scheduled for tomorrow Mon Oct 16 has been postponed until next Wed Oct 18 @ 8pm. The October meeting of the County Committee will take place in Austin Stack Park on Monday evening next (8pm). One of the main items on the agenda will be the proposal from county chairman Tim Murphy that Éamonn Fitzmaurice be ratified as Kerry senior football manager for a further two year term when his current term ends at the end of 2018. This proposal has already been unanimously supported by the Executive Committee but it is the county committee made up of the club delegates together with the Executive committee members who will decide. Also at Monday night’s meeting, delegates are asked by the Sub-Committee examining District Board Structures to report back the views of their respective Club on this matter. Details of County Convention which takes place on Monday December 11th will also be announced. Five officer positions will become vacant at Convention due to the “5 Year Rule” – Munster Council Delegate (2), Hurling Officer, PRO and Cultural Officer.